Join us for a discussion on crypto currency trading and blockchain investing. No visionary or utopian topics will be discussed as part of our very practical agenda: How do you invest in the crypto space? What indicators are leading price moves? What are the key factors for efficient execution? Practitioners from the exchange community, investors and vendors will join us to highlight the challenges in raising money, in selecting a strategy and in trading with minimal friction. 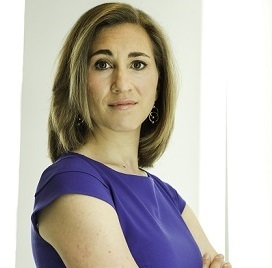 Lisa Abramowicz has been writing about fixed-income markets for almost a decade and is currently the co-host of Bloomberg Markets AM on Bloomberg Radio and a markets correspondent on Bloomberg TV. She was formerly a columnist with Bloomberg Gadfly, a fast commentary group aimed at providing insight and context to breaking news. She’s been at Bloomberg since 2010 and graduated from the University of Chicago. Nick Passarelli is the chief compliance officer of LGO Group. He joined LGO in July 2018. He is creating a compliance program around LGO’s electronic platforms, which offer trading to institutional clients in virtual currencies (bitcoin) and digital assets. Prior to joining LGO, he was the CCO of Dealerweb for over nine years. He oversaw Dealerweb’s regulatory functions and compliance with various SEC, FINRA, MSRB, and NFA rules. Dealerweb owns and operates an SEC Registered Alternative Trading System (ATS), providing execution services for market participants that range from electronic to voice trading across 15 asset classes. 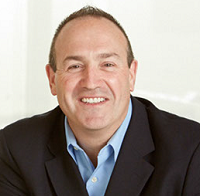 He was also CCO of Kellogg Partners, managing all the firm’s compliance initiatives. 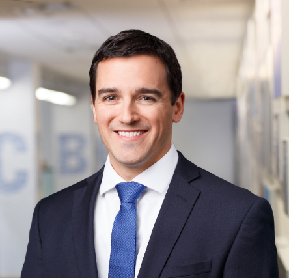 Nick holds a BA from St. John’s University and an MBA from the Zicklin School of Business at Baruch College. He also holds the Series 4, 7, 9, 10, 24, 63, and 99 securities licenses. 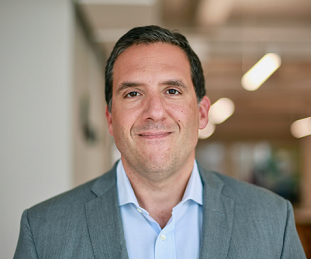 Jay Biancamano joined State Street in October 2017 is part of State Street’s Global Technology Services’ Digital Product Development and Innovation team in the Americas. Jay has been involved in designing and building a number of innovative products around new technologies in Capital markets for more than 20 years. These include some of the first algorithmic and analytical trading tools, as well as creating some of the largest Global ATS’ . He has held Leadership roles at ITG, Liquidnet, Factset and Fidessa. At State Street Jay is focused on innovating new products and services based on cognitive and blockchain technologies. 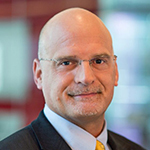 He currently serves on the Board of the Rutgers University Center for Innovation. He has a BA from Rutgers University in Finance, an MBA from Fordham University in MIS and International Business as well as post graduate studies at the Wharton School of UPenn. Shaun Cumby has traded and managed illiquid assets for 20 years starting with ABS, MBS, real return bonds, CDS, ABCP and now digital assets. In addition to trading and portfolio management he had a short tenure as the Chief Risk Officer of a Canadian Schedule I bank. He is currently an executive with 3iQ Corp who are bringing digital assets to the the Canadian market in the form of a private placement and soon, we hope, exchange listed closed end funds. 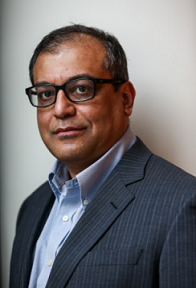 Zef Lokhandwalla is an Energy Markets Specialist at Bloomberg, New York. Zef worked for 15+ years as a Portfolio Manager and Analyst of Energy securities, trading relative value across asset classes – Equities, Commodities, Debt and Credit. Prior to joining Bloomberg, Zef worked at BlueCrest Capital Management, Hess Energy Trading Co (HETCO), Exxon and NASA Johnson Space Center. Zef has extensive experience conducting oil & gas research, building econometric supply & demand models to forecast crude oil, products & natural gas balances, generating trade ideas and executing cross-asset class trading and hedging strategies. Zef has long standing relationships with oil & gas producers, traders, investors, money managers and has participated in numerous energy conferences as moderator, guest speaker and panelist. Paul Cappelli is a Portfolio Manager at Galaxy Digital. Prior to joining the firm, he was a Director of Fixed Income at State Street Global Advisors. Previously, he was a Director in High Yield at Oppenheimer. Paul has also held positions in Fixed Income Sales and Trading at Citigroup and Foreign Exchange at HSBC. He holds a B.A. in Political Science from the University of Notre Dame. Martin is a Managing Director and Co-Head of Sales & Trading for Genesis. His responsibilities include the planning and execution of all sales efforts in digital currencies, and his coverage includes some of the largest family officesand hedge funds globally. Previously, he was a Vice President at SecondMarket where he focused on execution of fixed income transactions. He is a graduate of Vanderbilt University with a degree in Biomedical Engineering and holds FINRA 7, 24, 53 and 63 licenses. John Tornatore is Director, Markets, and Global Head of Cryptocurrencies, for Cboe Global Markets, Inc. (Cboe). In this role, Mr. Tornatore pursues U.S. and international strategic marketing initiatives to grow Cboe and Cboe Futures Exchange (CFE) outreach and expand the use of Cboe products in global trading hours. He also is responsible for developing new business in the cryptocurrency space globally. Mr. Tornatore joined Cboe in 2013, leading initiatives to grow connectivity to Cboe and CFE market data in the U.S. and abroad. Prior to joining Cboe, Mr. Tornatore served from 2010 to 2013 as Director of the Options Price Reporting Authority (OPRA), which, through market data vendors, provides last sale information and current options quotations from participant U.S. options exchanges. Previously, he worked from 2005 to 2010 in several roles with Zacks Investment Research in Chicago, finally serving as Vice President, Operations. From 1999 to 2003, he was a Financial Advisor with Merrill Lynch. 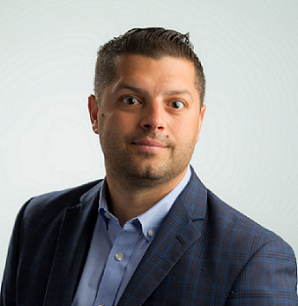 Mr. Tornatore holds an MBA from Northeastern University with a concentration in Finance and International Business, and a Bachelor of Science degree in Business Administration from the University of Toledo. Walton is the Chief Investment Officer of XBTO. He is responsible for managing all the trading and risk, as well as verifying the proper calibration and optimization of the algorithms under use, whether by capacity strategies, high frequency strategies and index strategies. Previously, Mr. Comer was the founder & Principal at Falcon Bridge Partners in NYC which was a highly successful high-frequency commodities trading platform. He was also a Vice President of risk at SAC Capital, a major hedge fund. Mr. Comer has a Masters degree in Mathematics of Finance from Columbia University; a BS in Electrical Engineering, a BS in Mathematics and a BS in Physics. 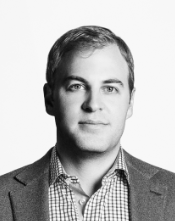 Mike McGlone is a senior commodity strategist for Bloomberg Intelligence, a unique research platform that provides context on industries, companies, and government policy, available on the Bloomberg Professional service at BI <GO>. Mr. McGlone specializes in the broad investible commodity markets. Mr. McGlone joined Bloomberg in 2016 with over 25 years of futures and commodity trading and investing experience, beginning at the Chicago Board of Trade. Prior to joining Bloomberg, he was a head of US research at ETF Securities. Prior to ETF Securities, Mr. McGlone headed the commodity business at S&P Indices. 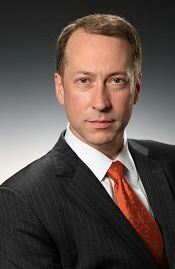 His previous roles included head of futures research at ABN Amro and VP research, analyst, trader, sales at Aubrey G. Lanston / IBJ Futures.